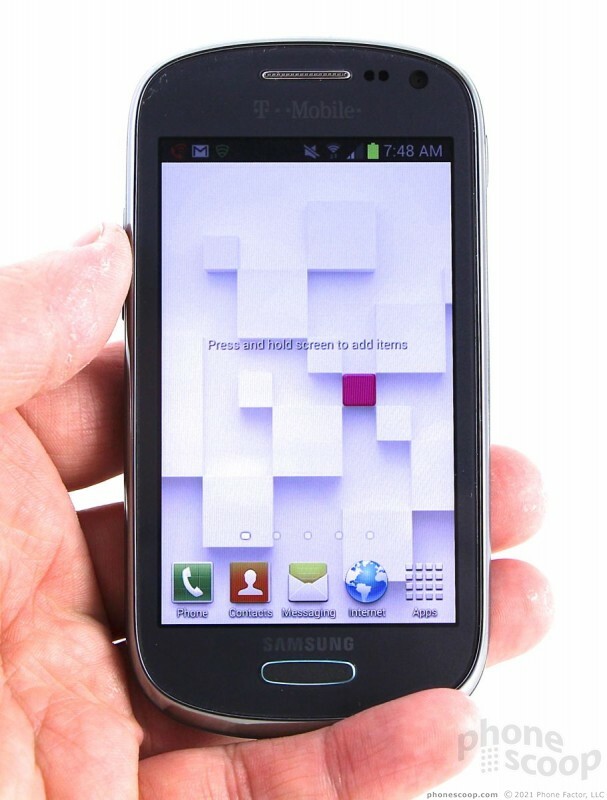 The Samsung Galaxy Exhibit is a device for the budget-minded shopper who is perhaps looking at his or her first smartphone and doesn't require all of the latest features. 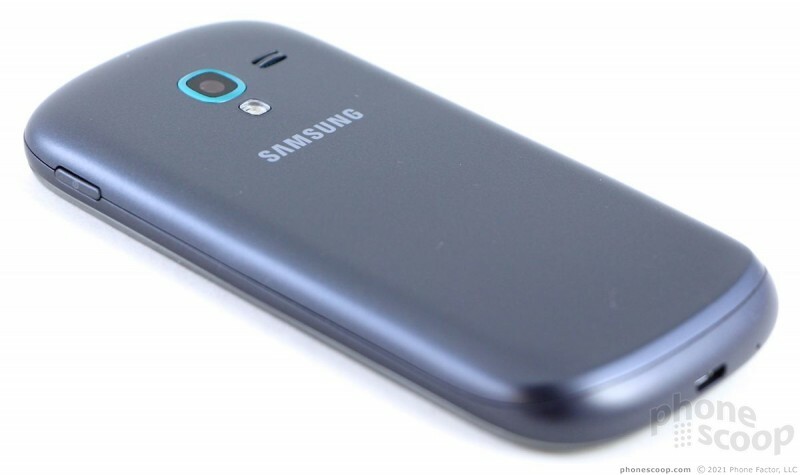 The Galaxy Exhibit is a compact smartphone that manages to maintain its own personality in the face of its larger and more-capable brothers, such as the Galaxy S4. 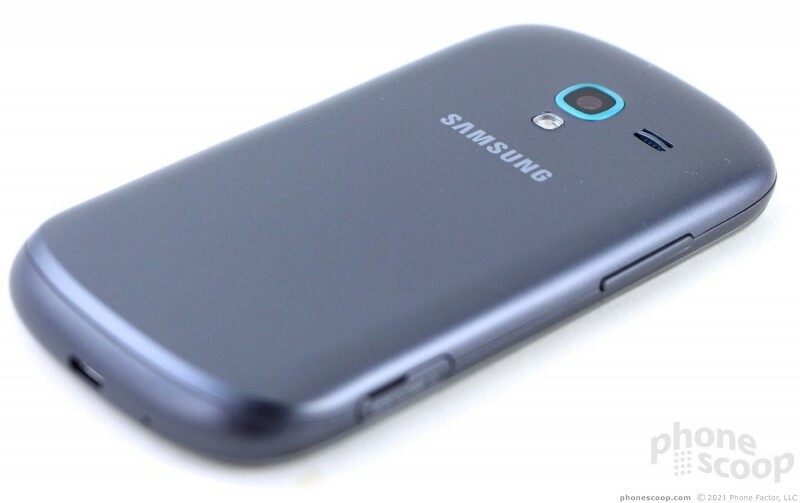 It fits right in with Samsung's conservative design language and looks like many of the mid-range smartphones Samsung brought to the market in 2010 and 2011. The Exhibit is covered in a mix of materials and colors that give the phone its own look. The display is surrounded by an attractive blue panel that is framed with a chrome-colored rim. The chrome coloring wraps around the side edges and defines the Exhibit 's shape. 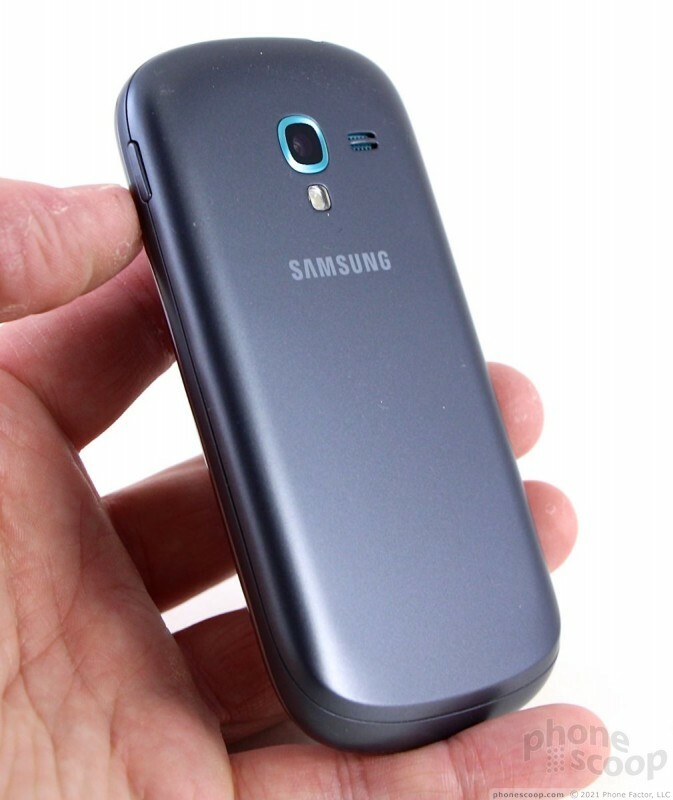 The device has an oval shape that's smooth and clean. Samsung used just the right touches here and there to give the Exhibit an elegant and refined look, while still keeping it somewhat simple and usable. 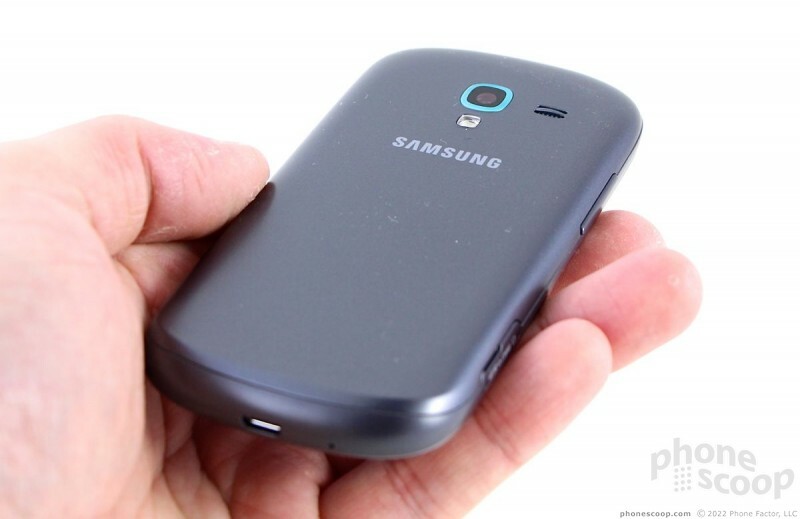 Thanks to a soft-touch finish on the battery cover and gently curved sides, the Exhibit is comfortable to hold and use. It is a narrow device, unlike many of today's flagship phones, and fits easily in the palm of your hand. It is a bit thicker than I'd like it to be, but overall it is small enough that it won't be troublesome to stick into a pocket, etc. The weight is also quite good. If anything, it is too light. The small(er) display is swimming in a sea of blue bezel. 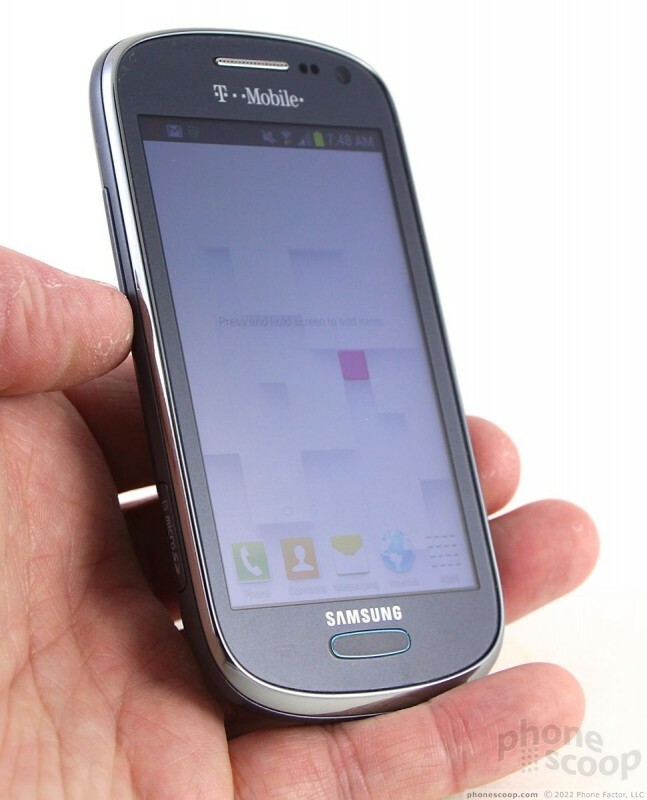 If I didn't like the look of the bezel, I'd complain more about how small the screen is (3.8 inches). The lone physical button is a home key, which is placed just below the screen. It has an oval shape to it and is very easy to find with your thumb. The action is quite good. There are capacitive buttons on either side of the home button. 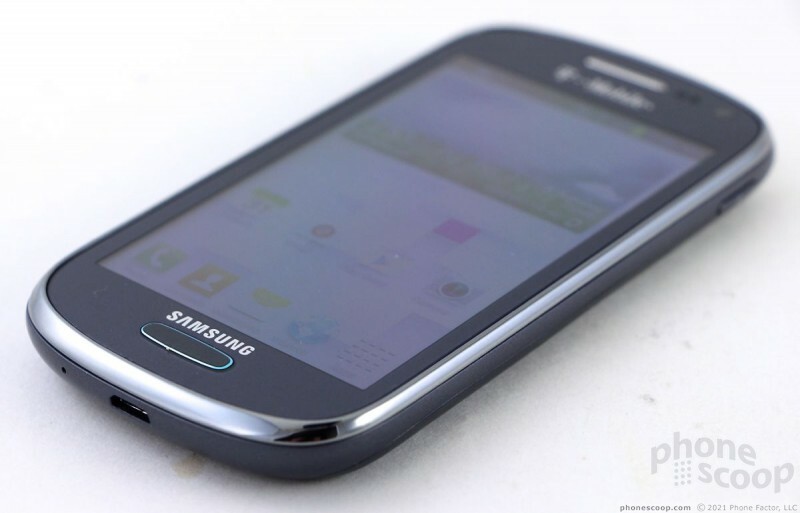 In typical Samsung fashion,the menu button is on the left and and the back button is on the right. They didn't give me any trouble. The earpiece is covered by a chrome-colored grille, which offers a nice finishing touch to the front surface. Controls and ports are found on all four edges of the Exhibit . The volume toggle is on the left. It has an excellent profile and very good travel and feedback, both directions worked well. The slot for memory cards is also on the left. It's covered by a small hatch. That hatch worked fine and was easy to remove/replace. 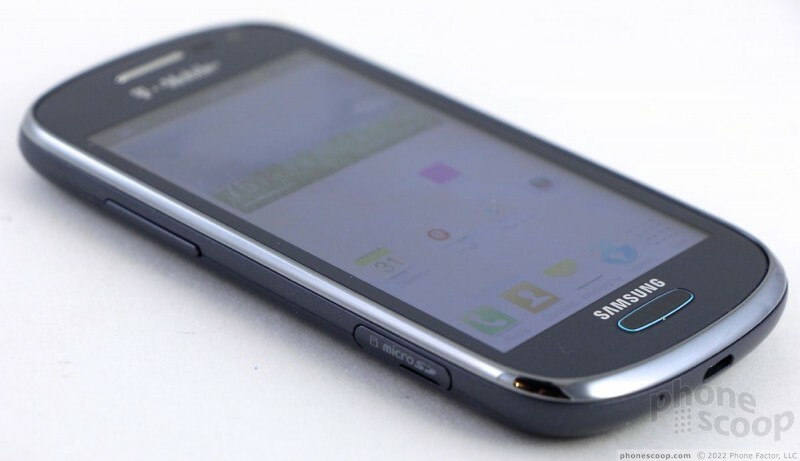 The screen lock/power button is placed high along the right edge of the phone. It does not have a good profile; I often had trouble finding it. The travel and feedback could also be much better. 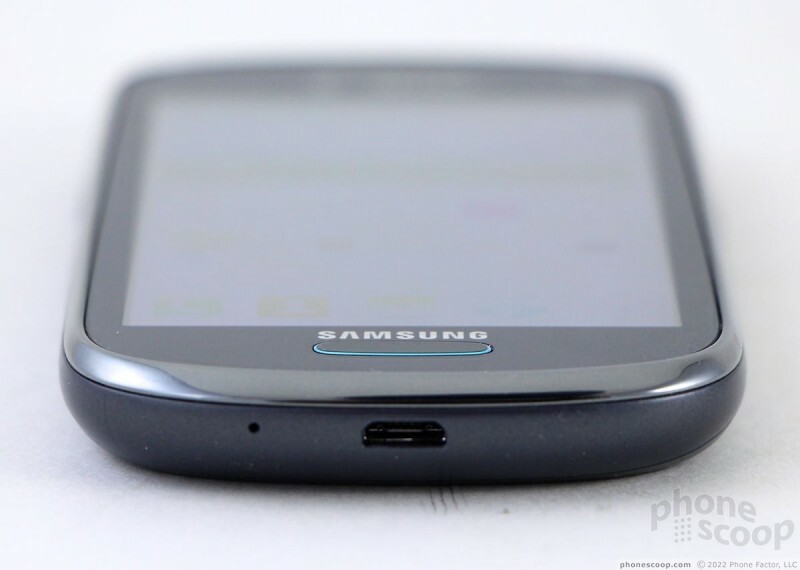 The stereo headphone jack is on the top and the micro-USB port is on the bottom. The battery cover forms about 90% of the Exhibit 's rear surface. The soft-touch finish lends it a nice grippy texture that I found pleasing. It's easy to remove. 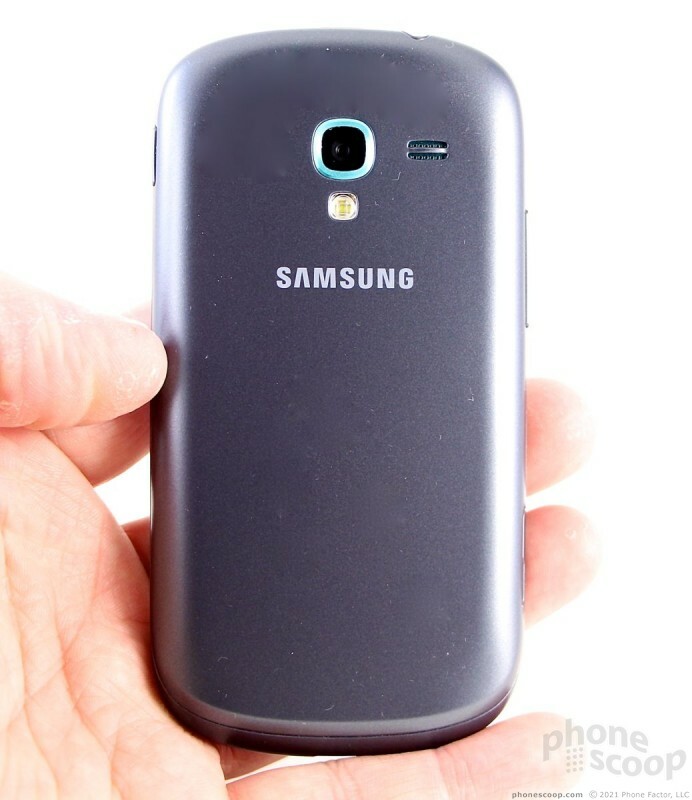 Both the battery and SIM card can be removed. The Exhibit uses a large SIM card, not one of the micro or nano ones used by most of today's high-end devices. In all, the Exhibit hides its budget build well. It has been firmly assembled and most of the hardware features work as well as they look. 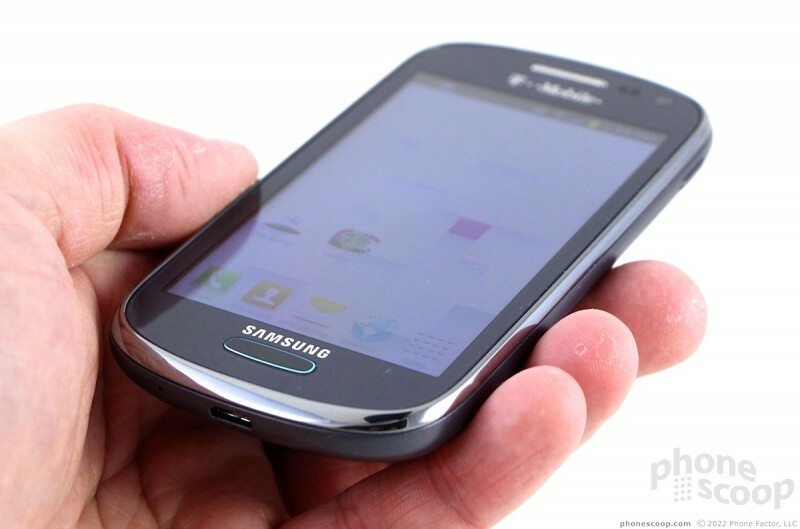 T-Mobile USA today announced that the BlackBerry Q10 smartphone will be available online and in stores beginning June 5. The device will require a down payment of $99, followed by 24 equal payments of $20.